The Band of the Royal British Legion Christchurch put on a special concert in honour of the Queen’s official 90th birthday. Over 30 Brass, Woodwind and Percussion players gathered to mark the occasion, with a selection of popular and film music which spanned the Queens life. This included music from Zulu, James Bond and a rendition of The Beatles’ Hey Jude. The school has also featured this concert on their website. The local Royal British Legion Standard Bearer, Norman Pearce, was also present to carry the Union Flag for the national anthem. The second half of the concert opened with the first public performance of a new piece of music that was specially written for the Queen on her 90th birthday. ‘Fanfare 90’ was composed by the Band Director, Nick Jarvis, and Pianist, Natalie Dalton. 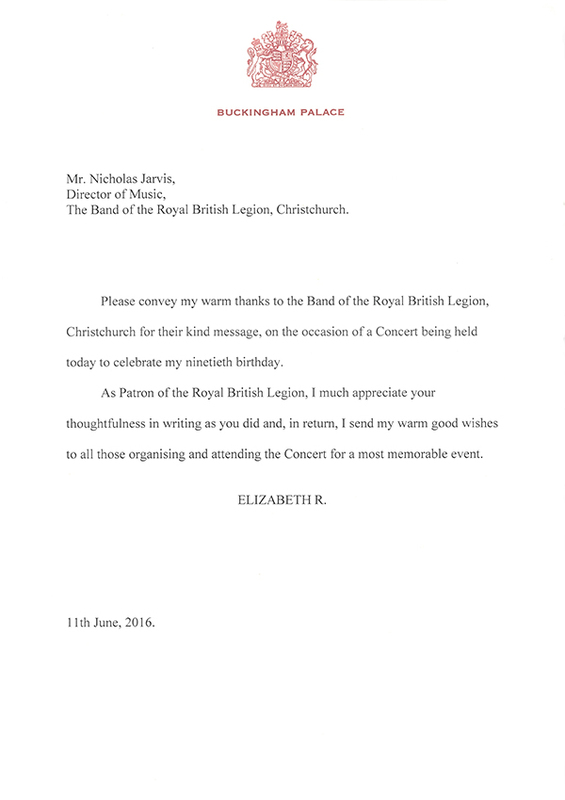 The band had written informing the Queen about this new piece of music and the concert in general and had received a lovely reply, sending warm wishes to all in attendance. The rest of the concert included similar traditional pieces such as Zadok the Priest, the music from the coronation, selections of British Sea Songs and culminated with a rousing rendition of Land of Hope and Glory, with much flag waving to be had. We very nearly missed the most important song from the concert (Happy Birthday) but luckily some of the players remembered and an impromptu version was created. The band chose to host the concert at Highcliffe after the success of the Christmas Concert in December 2015. There are several current and ex-Highcliffe staff members within the band. 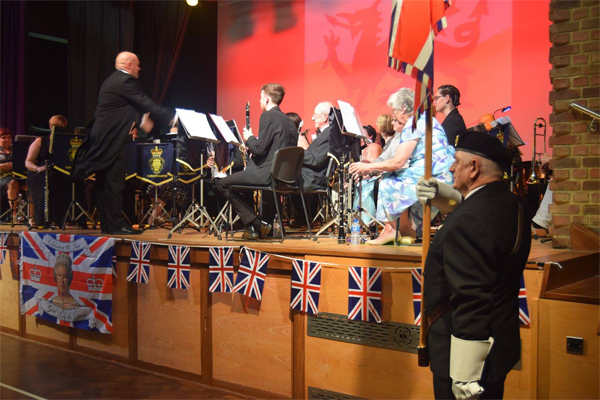 The School has previously worked with the band as part of the ‘Tribute to the Fallen’ WW1 Centenary Event, in July 2014 where a drama group performed along with several other bands and choirs from the local area. Their next concert, as part of the Christchurch Royal British Legion’s Remembrance activities, will be at Christchurch Priory on 5th November 2016. Tickets will be available from the Regent Centre in the near future.